Only available due to a Military relocation.How does a house with electric bills that have not amounted to more than $20 a month with five people living there, thanks to the solar panels, sound?Looking for upgrades? This house has them in spades!Bright and airy Florida room off of the kitchen, entire house freshly painted in comforting colors,chair and crown moldings, invisible pet fence around entire property, a true walk-out basement which is fully insulated and has a bathroom rough in,whole house air purifier, and a water treatment system! This few year young home, nestled in a quaint community outside City limits keeps taxes down,and is in the highly desired CR school district,has loads to offer. Walking into the home you will be welcomed with real hardwoods in the foyer and a modern open concept, with no stairs right in front of the door for good Feng shui. To the left is a formal dining room,to the right is a multi purpose space, great for a home office or second living room,both with crown moldings, as well as a thoughtfully placed half bathroom. Entering into the living room,the focal point is definitely the natural gas fireplace making the space warm and cozy! Open directly from the living area is the large kitchen, with 42" cabinets, like new top of the line french door fridge, bar height seating,and ample storage. Attached directly to the kitchen sits one of the houses many upgrades, a large Florida room with walls of windows. A rare and very well thought out design of this house is the staircase, with hardwood railings, that is completely opened to the basement, meaning if finished, the basement will feel like an extension of the living space, instead of a door leading down which is usually standard.The basement is just waiting to be finished! It has been insulated with a full wall wrap, and features a sliding door outside entrance(double the width of a standard walk out),making for moving large items like couches or pool table possible. ANother upgrade is a bathroom rough in installed making future plans to finish the space much easier. Upstairs sit 4 bedrooms and 2 full baths. The 3 spare bedrooms are generous in size, one even having a walk in closet. The master bedroom is a true owners suite, with its own sitting room space,and walk in closet. The master bathroom is very spacious, with both a large tiled corner soaking tub as well as a wide shower with sliding glass door.,dual vanity and separate water closet for the toilet. Outside, the home sits on a large,level lot, and the storage shed is included with the sale! An invisible pet fence is buried around the perimeter of the property. 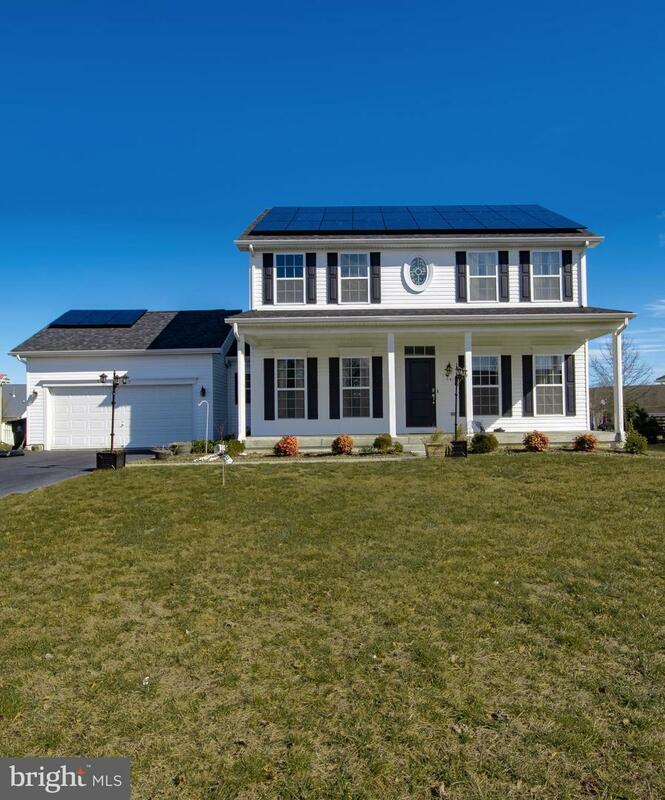 Factoring in similar houses at this price point, and then adding in the solar panels which will be owned, not leased, and convey with the home,make this seem like a very hot buy in todays market. So make sure to schedule your tour today before it is gone tomorrow!